Pencil drawing in monochrome is the foundation of any budding artist. Many new artists make the mistake of skipping foundation building and go right on to learn how to paint or draw in colors. They do this by learning tracing the shapes and forms and then paint over them. Unfortunately, this process cannot produce a good drawing. That's because when the artist starts to paint over the lines, he or she starts to trace as well. As a result, spontaneity is lost. The drawing looks unnatural, and the artist is only cheating himself. How then do we avoid this? The answer lies in learning how to draw and sketch properly, so that when the drawing comes out, it looks naturally instead of mechanical. Contrary to popular believe, learning how to draw or sketch naturally is not as difficult as it seems. I do agree that there are more complicated subjects such as portraits, hands, etc. that require more skills but all that can be picked up with proper training. The first step to learning how to draw in monochrome is to pick the right paper. If you observe good sketches, you'll notice that they often contain near perfect blendings and classy details. So much so that the others can only observe in awe. Well, now you don't have to. You too, can draw like that. You see, the drawing paper that you choose plays a big part. There are two types of paper that we can generally choose from. The choice is a little more complicated if you're drawing in color, but for monochrome drawing, just keep in mind that you want to choose drawing paper that has a smooth service. You can feel the paper with your hands when choosing the paper. The other type of paper are those with a mat surface. This kind of paper feels grainy and rough. In your local art supplies store, you'll find both of these types of paper. Also, most multi-purpose paper feels rough rather than smooth. That's because the paper has to provide for the needs of using colors. Choose a sketch pad that's smooth for practise. Don't worry if it feels thin. You don't need a thick piece of cartridge paper for sketching exercises. The next step is to choose drawing tools that allow you to work on both the broad lines and the fine details. It doesn't matter what type of monochrome tools that you're going to use (charcoal, pencils, etc), but you do need to know that you must keep pointed tools with you at all times for the fine details. These are the tools required for drawing in monochrome. Once you have them, you're ready to start. Darren Chow is the founder and developer of MyArtPassion.com, an online website that offers free drawing lessons, home study courses, and other drawing related resources. For more free resources like the one you've just read, please visit MyArtPassion.com for free online drawing lessons. There are many budding animators and aspiring cartoonists out in the world. These people have different ideas about the characters that inhabit their minds. This includes any person who desires to animate anime characters. While there are many devices that can help you to draw your animated characters you will still need to know how to draw anime characters which will capture the imaginations of your audience. In order to get good results when you are learning how to draw anime you should have a number of sheets of paper handy. You will also need different types of pencils - which are in a varying state of sharpness - on hand. The final items that you will need when you are practicing how to draw anime are a good eraser and some anime reference material. Once you have gathered all of these items you need to understand that the reference material and any guidelines that you have found are merely the beginnings in your adventure into drawing anime. The first that you will need to do when you are learning how to draw anime is to think of one image that you want to draw. Once you have this figure captured clearly in your mind you will need to start drawing a rough sketch. The first step in your learning how to draw anime figures is to draw the outline of the body. At this stage don't worry about defining the figure characteristics. One you have gotten the body shape outline you can start getting the head, arms and legs drawn and attached to the body. These areas too should be roughly drawn so that you can figure out the exact shape that you want the figure to take. Once you have this shape chosen you will need to slowly create the right body form. Once you are satisfied with this form - just the outline shape - you will need to erase the extra unwanted lines from the anime body. This step in your how to draw anime learning completed, you will need to shape the arms and the legs so that they resemble the final version of your drawing. As with the body you will need to erase any lines that are not part of the needed anime figure. Once the outlines to the body and appendages have been neatened, you can start the process of making the figure look more "lifelike". This is accomplished by adding the various features which distinguish a 3 dimensional figure from a 2 dimensional one. After you are satisfied with how the body looks you can start the process of getting the head and the neck into an anime style look and shape. The final aspect that you will need to learn when you are learning how to draw anime is that of the features. These features are necessary as they are the hallmark of any anime figure. With all of these tools at your disposal you are ready to take on the world of anime. For the aspiring cartoonist there are many mediums in which you can express yourself in. The main facts that should be seen when you want to learn to be a cartoonist is how to draw comics. As there is so much action occurring in the various scenes of cartoons you should be able to draw these types of scenes without losing any of the action or expressions of the characters. You will need to study the various drawings of cartoon character and see if you have the ability to reproduce these figures in different poses and situations. You should be able to convey the action and the feelings of the comic characters so that anyone who looks at these efforts of yours will be able to identify what is happening in your picture. The main fact that you will need to remember is not to expect professional results in the very beginning of your drawing career. At this point you will need to look at the different drawings that have been made by professionals. From the many details that are shown in the comics you will gain an idea of how to draw comics like these. You should start by looking at the various comic book characters. From these you will be able to see how these people are drawn. You can try to draw these various figures. Your figures should carry all of the details of the comic book figures that you are using as a guide. 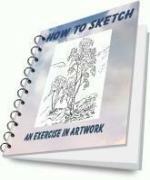 From these guide pictures you will need to develop your own style of drawing. When you are comfortable drawing a moving figure, you will need to add some details to make the movement look realistic. The various background objects will need to be added in to make your picture look better. These are just the first few facts that you will need to be comfortable with when you are learning how to draw comics. As many artists can tell you, the first drawings of your entire scene will need to start out as a rough drawing in pencil. This way you can erase any mistakes or unwanted lines. As you become better at drawing your sketch lines will only be where you need them. Once you have drawn the entire scene that you require, you should remove all excess outlines fully. When you are seeing how to draw comics so that they look professional you will see that the professional comic artists have outlined their comic book artwork in black ink. By practicing with different figure drawings, coloring of the scenes and different black ink you will learn how to draw comics that look as great as the ones created by professional. You will need to hone your drawing talents before you contact any comic company for job prospects. There are many artists who struggle with drawing a face and having it actually look like the person you are drawing. These tips should help you to achieve a more realistic outcome and have your drawings come to life. The first tip is probably the most important. When you are drawing, draw from a good source or reference. For instance make sure that your photo is a really high quality. Make sure that the photo is big and clear, and not a lot of different lighting sources. Choose a subject that is interesting to you. If you want, a good idea is to draw something of one of the masters, like Beugereau. If what you are drawing doesn't hold an interest for you, you won't do as good a job on it, you'll have less patience, lose interest and never finish. But again, make sure that your reference is high quality because if it's not, you'll end up with garbage. Next, begin your drawing with your outline. Different artists use different methods for this. Also, time is a consideration, so whether you use a grid method or do it by eye, make sure you are accurate. Of course, the grid is going to be more accurate but time or environment may not allow for this method. Also, as you gain more experience you may go by the eye more often as well. Block in and remember that you don't want to add in the fine details yet. Don't get caught up in working on an eye and all of the lighting and shapes of the eye at this point. Avoid finer detail till later. Then you can start to divide the light from the shadows, hitting the core shadow outline hard making a distinct value difference between light and shadow. Then go over it with a towel or cotton balls. Never let your skin come in contact with the paper because your sin is made of oil and it will cause great ugliness to appear on your drawing! Instead use a piece of paper under your drawing hand to help you avoid this. Some artists use gloves made for drawing as well. Try and hit the shadow hard and then after you have gone over with a towel erase out some highlights and make the core shadow darker. You can start darkening shadows make sure that you are using your referenc to figure out where these are exactly. You may have to do this several times till you establish the value you are after. Not all of the shadows are going to be dark. Never forget where your light sources are coming from. This is extremely important. Look for where the shadows are falling in direct relation to where the light source is coming from. Start adding the finer details to your drawing. Blend in light spots and identify the highlights in your subjects hair. A very beginner mistake is to draw each and every strand of hair. Hair needs to be treated as a mass. Remember this and your hair will turn out more realistic than ever before. Once you feel you are done, you are almost done. What? Well when you are working with graphite, it can be extremely messy and you may need to do some major clean up of smudges. Use a kneaded eraser to lift these. Take your time with your drawings and you will begin to see that these techniques can be really beneficial. Anyone can learn to draw, it takes some patience and willingness. Todd Harris is a master artist who is currently working as a concept art director for a multi-billion dollar corporation. He is trained in the Florence Academy Method. Learning2draw.com is a resource based website devoted to aspiring artists wishing to master figure drawing. Visit http://www.learning2draw.com to get tips, tricks, and techniques to master the human form. Learn other articles on Pencil Drawing.